Gifted by Eunice Renee Kuhn, nee Lizakowski. 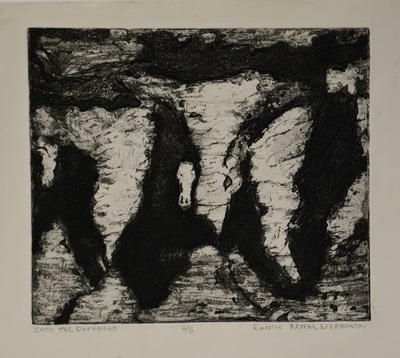 Kuhn donated twenty-three works from her student years to UND Art Collections. Several other pieces by her are currently on display in the Education Building.